As the Mississippi and Alabama chapters were planning the 2014 Region 3 NAI workshop that was just held in Livingston, Alabama, we kept saying to ourselves, “if we can just get the people down here they will see how fantastic this Deep South black belt prairie town really is.” It is indeed, and on our field trips NAI attendees from seven southeastern states tromped through restored prairie sites, visited the remnants of Spanish and French forts perched atop chalky bluffs, found 81 million year old fossils, and rode an 1896 carousel in nearby Meridian, MS. This workshop was so deeply infused with a sense of place and history that you couldn’t avoid it. Held at the University of West Alabama (UWA) campus, we were ably hosted by the Center for the Study of the Black Belt. Dedicated to fostering appreciation for the regional landscape, the Center is doing remarkable work that includes preserving local historic structures and restoring them on the UWA campus. One of our conference rooms was held inside of a refurbished historic schoolhouse and equipped with the latest distance technology. Even though I work for a rival state university, I’d argue that the University of West Alabama campus has one the best examples of fostering regional sense of place in the SEC, and is developing a true cultural treasure. Brian Mast, the Center’s public historian, did a superb job of organizing the logistical details of the workshop; the Center’s director, Dr. John Hall, performed a convincing William Bartram impersonation; and their curator of paleontology, James Lamb, gave us a terrific fossil collecting trip. 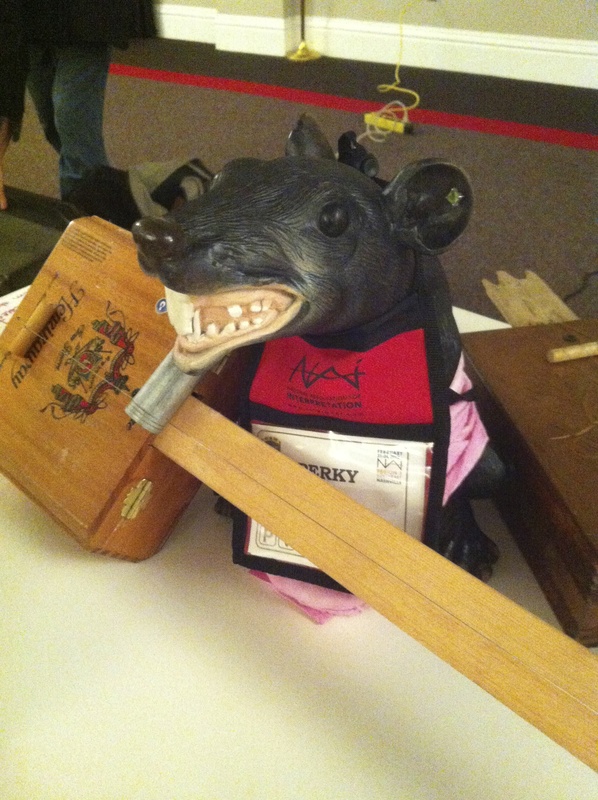 The evening banquet was full of fun and southern cuisine, and even Perky had a few too many sips of locally brewed ale. Mississippi Delta bluesman, Bill Abel, entertained us with tales of how the blues was born and his homemade guitars and didley bows howled through the night. We were honored to have NAI executive director Margo Carlock and NAI Region 3 director, Pepe Chavez attend. Special thanks to the planning committee, the sponsors and contributors, President Holland and the UWA staff, the Center for the Study of the Black Belt, Dr. Jones and the Division of Continuing Outreach, the presenters, and to all that attended to make this workshop a rousing success.